Author, Medical Therapeutic Yoga: Biopsychosocial Rehabilitation and Wellness Care Handspring Publishing, Ltd. Edinburgh, UK. 2016. 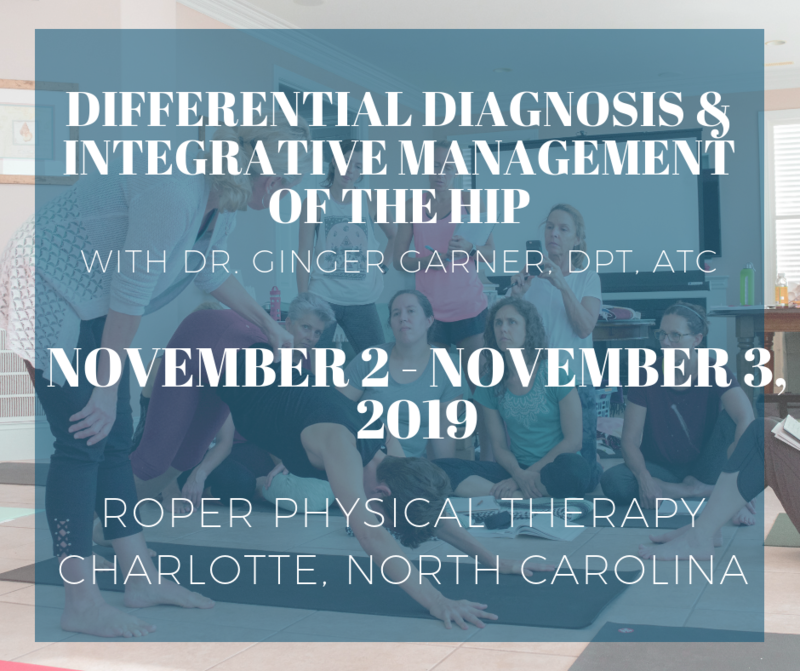 Goldeen, R., and Garner, G. Medical Therapeutic Yoga: An exploration of how to use yoga as a therapeutic modality with clients across the lifespan, in varied settings (acute to out-patient) and with cultural sensitivity. World Federation of Occupational Therapists. WFOT Congress. Capetown, South Africa, May 21-25, 2018. Clinton, S, and Garner, G. Are you Listening to your Patients? What the Voice Reveals about Dysfunction. American Physical Therapy Association, Combined Sections Meeting. New Orleans, LA. February 21-24, 2018. Garner, G, Jonely H, Elliott M, Shaheed H, Langshaw W, Clinton S. Global Maternal Health Crisis: Delivering a Biopsychosocial Model of Care involving Women’s Health Physiotherapy in the Postpartum Period at World Congress on Physical Therapy. Capetown, South Africa, July 2, 2017. Garner, G. Yoga in Healthcare: Tenets for Safe, Effective Use & Theory for Healthcare Reform. The Yoga Therapy Conference, Amsterdam. May, 2017. Garner, G., Traush, L., Foster, S., Drake, J., Raffo, P., Stewart, T., and Razzino, S. Poster Presentation: Diastasis Rectus Abdominis: A Narrative Review. American Physical Therapy Association Combined Sections Meeting 2016, Anaheim, CA. Garner, G. Vocal Liberation: Maximizing Your Potential. Montreal International Symposium for Therapeutic Yoga. March 2016. Garner, G. Hip Preservation, Yoga Reconsidered. Montreal International Symposium for Therapeutic Yoga. March 2016. Garner, G. Combining Vestibular Rehabilitation with Integrative (Yogic) Medicine. North Carolina Athletic Trainers’ Association Fall Symposium, Raleigh, NC 2013. Garner, G. National Athletic Trainers’ Association 64th Annual Meeting & Clinical Symposia. Yoga Pulls Double Duty: Establishing Controlled Flexibility in Athletes. Las Vegas, June 24-27, 2013. Garner, G. Safe Prescription of Yoga in Rehabilitation: An Orthopaedic Focus. North Carolina Athletic Trainers’ Association Fall Symposium, Raleigh, NC 2012. Garner, G. Safe Prescription of Yoga in Physical Therapy in Women’s Health – The Bladder Matters. Mountain Pose Medicine and Yoga Symposium. Copper Mountain, CO. August 2012. Garner, G. Safe Prescription of Yoga in Physical Therapy in Orthopaedics. Mountain Pose Medicine and Yoga Symposium. Copper Mountain, CO. August 2012. Garner, G. Complementary and Alternative Medicine in Practice: Using Evidence Based Yoga to Evaluate the Athlete. National Athletic Trainers’ Association National Convention. Philadelphia, PA. June 2010. Garner, G. Read Biomechanical Precepts Define 21st Century Yoga. Lower Extremity Review. March 2011 Vol. 3/No. 3. 2004 November Garner, Ginger (formerly Wood) MPT, E-RYT, ATC The International Journal of Yoga Therapy; Yoga Therapy and Chronic Pain Management – Telling Our Story. Consultant for multiple physical therapy departments at universities across the US and Canada. Owner and clinician – Crystal Coast Integrative Medicine & Physiotherapy (2001).